Lincolnshire County Council are asking motorists in the Pelham Bridge area of Lincoln to make use of both lanes available to ease congestion. Delays are ongoing due to five months of roadworks to provide an additional southbound lane on Canwick Road. Over the last week, road-widening activities have continued on the corner of Washingborough Road, Canwick Hill next to the South Common and the end of South Park. Tarmac layers have been laid on Canwick Hill next to the South Common and traffic signals and street lighting provisions have been put in place. Over the next few days, road widening works will continue at the end of South Park and the corner of the South Common. The county council has noted an increase in the number of cars using the Canwick Road route to enter the city this week and signs have been put in place to remind motorists to use all lanes available. 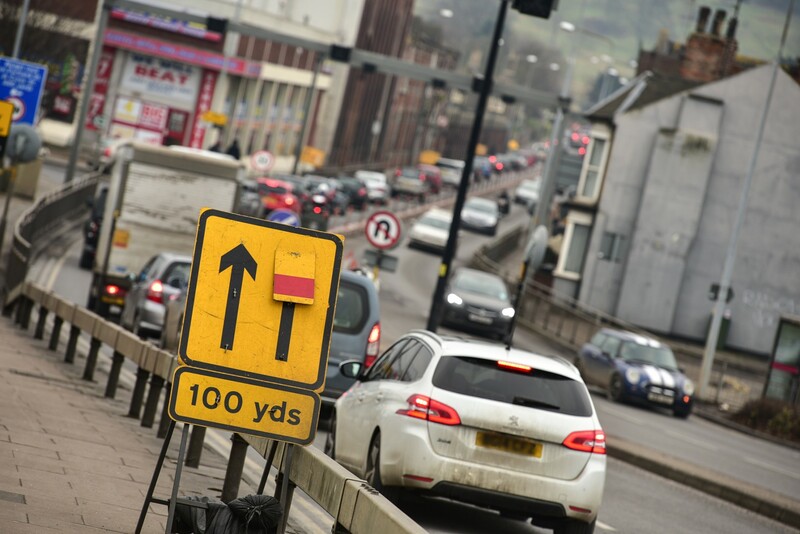 Alan Aistrup, special projects manager, said: “We are finding the patterns of people entering the city in the morning from Canwick Hill to be variable, some days traffic queues on Canwick Avenue and some days on Lincoln Road. “However this is being managed by manually operating the temporary traffic signals during the peak hours to ensure an optimum traffic flow from all directions. “The traffic in Lincoln is also being managed across the city through the use of CCTV cameras which allows the traffic control centre to adjust timings on traffic lights to address the extra vehicles using alternative routes. “This week has seen a huge increase in vehicle numbers choosing to exit the city via Canwick Road; this is causing congestion along Broadgate and Lindum Hill. “To help alleviate we have erected signs to encourage people to use both lanes on Broadgate and merge at the bottom of Pelham Bridge. “If people use both lanes the congestion will reduce, however the sheer number of vehicles choosing to use this route will still cause delays. “We do appreciate that public transport or alternative routes are not possible for all, however for the first two weeks vehicle numbers were fewer than they are now, which suggests people initially used alternative routes and public transport but have now reverted back to their normal journey pattern. “If people can go back to finding alternative travelling methods the traffic delays will reduce significantly to what it was during the first two weeks of construction.